This entry was posted in foodporn, Uncategorized and tagged dinner, food, foodporn, lunch, pasta, recipe. Bookmark the permalink. The items I really support in this recipe is the instructions on how to naturally sun-dry tomatoes! Great job Mio’s. Great ingredients. If someone makes this, please give feedback! I’ve only tried to make sundried tomatoes in the oven 🙂 But this is a more natural way – I love it. 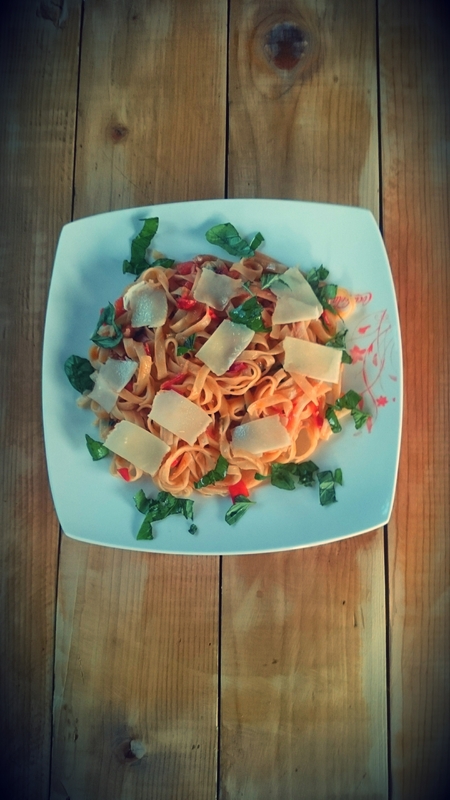 Wonderful dish Mio, love Arrabbiata it looks fantastic and I think your photos are great. I use my phone too!! This looks very yummy! I will have to try it soon! This is great! I would love to dry my own tomatoes, but the Devon weather would put a quick stop to the drying process! I want to try making my own Sundried Tomatoes someday. Can I do it in England, I wonder … Maybe too cold? Good point! Smoked dried tomatoes! Sounds interesting. It looks very tempting Mio! In India most of these ingredients are hard to find but what we do get in loads is tomato and sun 🙂 I will surely try my hand at these. Looks so delish. 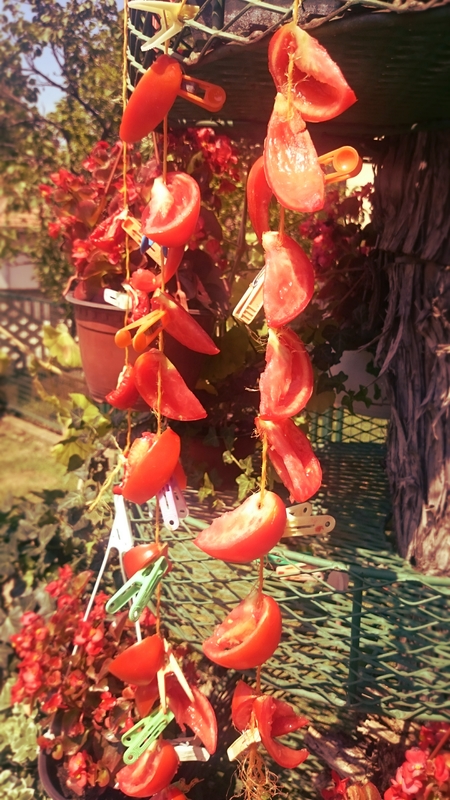 How do you keep the birds and other creatures off the tomatoes for several days to dry? Looks delicious! I will try this when we have our own place. It’s hot here in the Philippines most of the time, so yes, it can be done. This looks great! 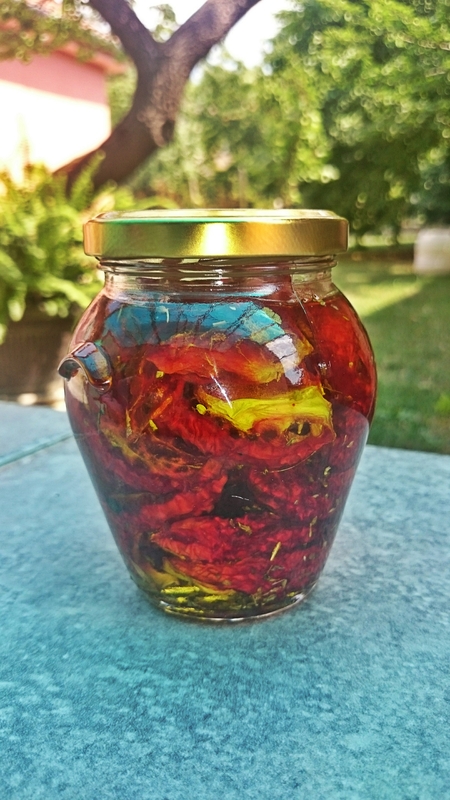 I have always wanted to know how to make sun dried tomatoes. Thank you. I LOVE your statement about your photographs- I feel the same about the images on my blog… lol. I also enjoyed this post, I am going to bookmark it for next summer when I grow my own tomatoes. Your method is indeed more affordable and most likely a hundred percent natural. Thanks for this! Definitely going to give it a shot when sun comes back into my life. Wow what a great job done. I luv your idea of sun drying tomatoes @ home. will try this. I am happy that I found this site and have started following it. My son is a big fan of Italian food. Will surely try this. Also thanks for sharing the method to sun dry tomatoes. Will dry tomatoes this summer. Wow, I would never have attempted to make my own sundried tomatoes. Well done! The arrabiata looks delish so well worth the effort! Thanks for your support Mio. GREAT images on your blog! THE DRYING PROCESS IS AMAZING! I see you study chemical engineering, i study chemistry and i love learning food chemistry related things.